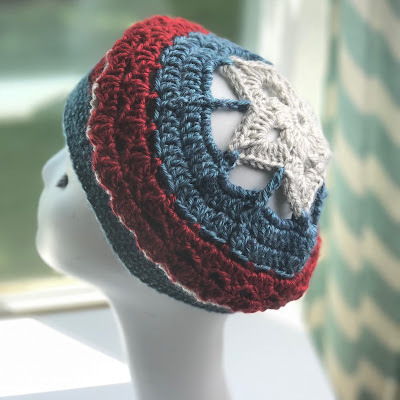 Today I thought I'd share with you the Liberty Hat I made. It's a crochet pattern by my dear friend Laura Krzak. The pattern is available on Ravelry. She sold me with the color combo and that starting star motif. 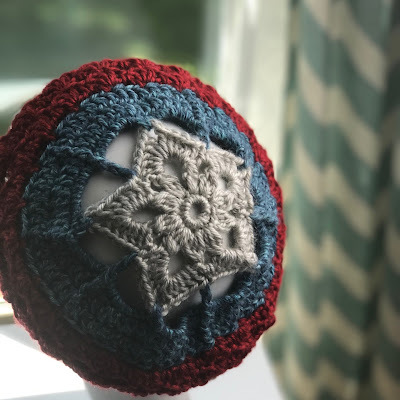 Laura was so kind and shared her leftover yarn from her sample with me, so I could make one exactly the same as hers. The yarn is Lion Brand Heartland. It was very nice to work with! I hope this hat will brighten someone's day. I love it and I plan to make a couple more for my Summer Hat-A-Long!